Executive Employment Law Published by V. John Ella - Trepanier MacGillis Battina P.A. July 26, 2018 by Trepanier MacGillis Battina P.A. 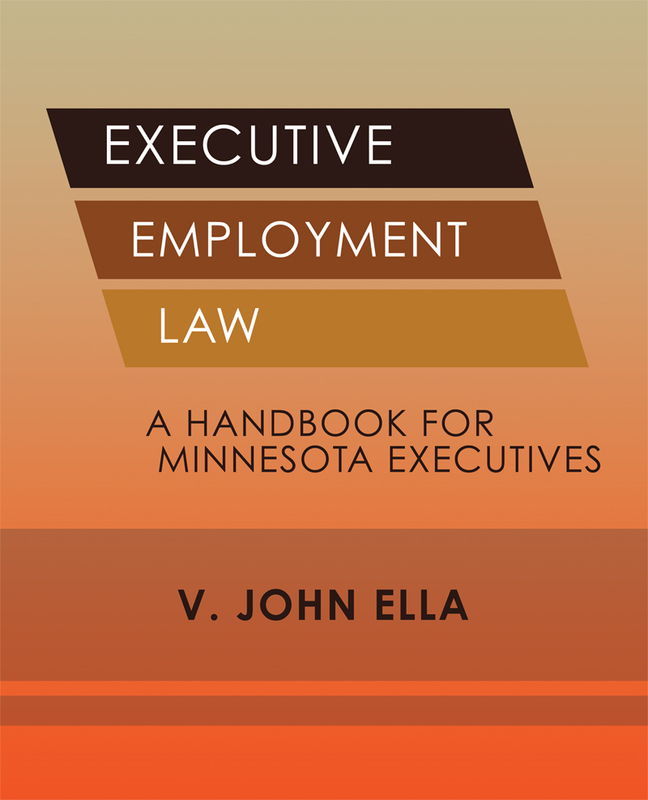 The book also contains a glossary of executive law terms and a template executive employment agreement. Copies of the book can be obtained from Mill City Press. The e-book is available on Amazon for Kindle and Barnes & Noble for Nook as well as Google Books. You can also order a copy by contacting Joni Spratt at 612-455-0500.